Even the fine folks at Disney are sick of Mark Hamill's trolling. 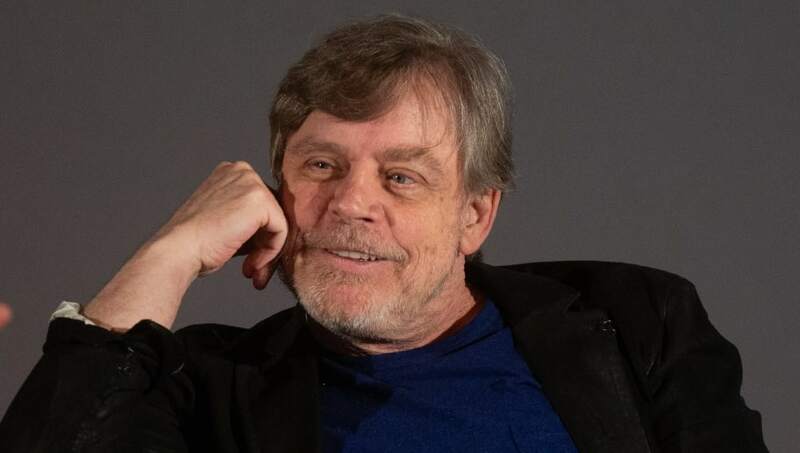 Hamill is reportedly hanging up his lightsaber and retiring from his role as Luke Skywalker once Star Wars: Episode IX is released in theaters later this year. But since details of the upcoming film have been scarce, many fans have taken to Twitter to ask the iconic actor for further information, such as when the trailer will drop. However, the responses they receive aren't so helpful. Turns out, it's not just fans who fall victim to Hamill's trolling. During an appearance on Jimmy Kimmel Live! last week, the actor said he loves driving the Disney executives crazy with his witty teasers. "Well, you know I love driving the Disney executives crazy. 'Cause what are they gonna do, fire me?" he joked, not-so-humbly acknowledging his importance to the Star Wars franchise. "I'm in that really calming lull between the time after you make the movie and before it comes out. They don't want you to say anything. And I'm good at that," Hamill continued. "But like I say on my Twitter account, people are constantly saying 'When's the trailer dropping? What's the title?' [Disney] wouldn't tell me that. I play dumb. I say, 'They made another Star Wars movie?' Nobody tells me anything." Hopefully this marks the end of fans filling Hamill's mentions with questions he clearly can't answer. But if they continue to press the actor on the subject, we're sure he has a few more troll tweets saved in his drafts. Star Wars: Episode IX, which will conclude the Skywalker saga, is set for a Dec. 20 theatrical release.